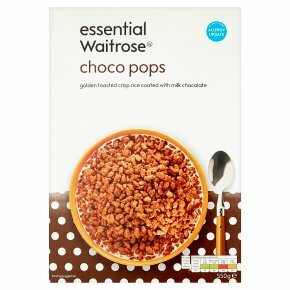 INGREDIENTS: rice, sugar, fat reduced cocoa powder (4%), whole milk powder, cocoa mass, barley malt extract, salt, cocoa butter, flavouring, niacin, iron, thiamin, pantothenic acid, riboflavin, Vitamin B6, folic acid, Vitamin D, Vitamin B12. For allergens, including cereals containing gluten, see ingredients in bold. May contain: soya,nuts.